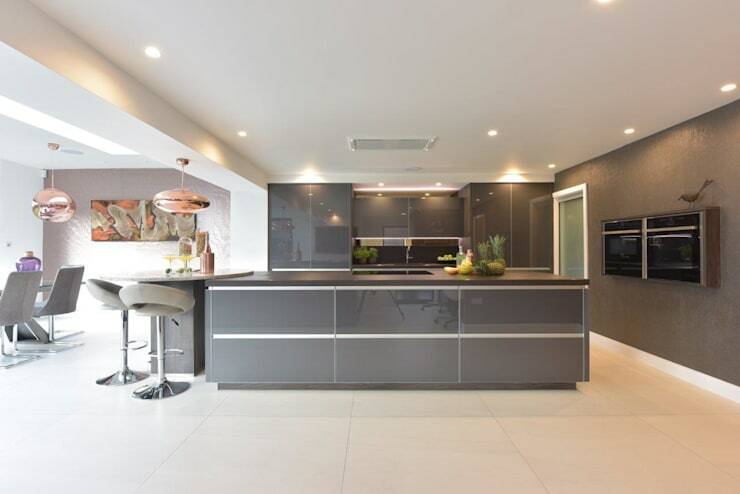 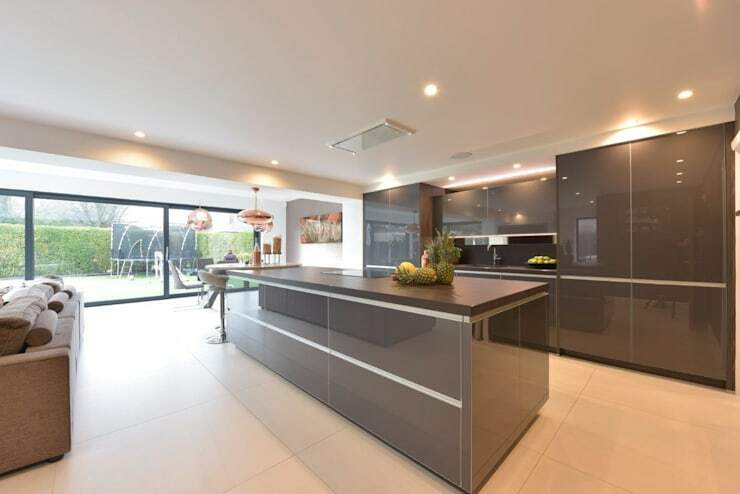 This stunning graphite glass kitchen with Dekton heatproof worktops is a show stopper. 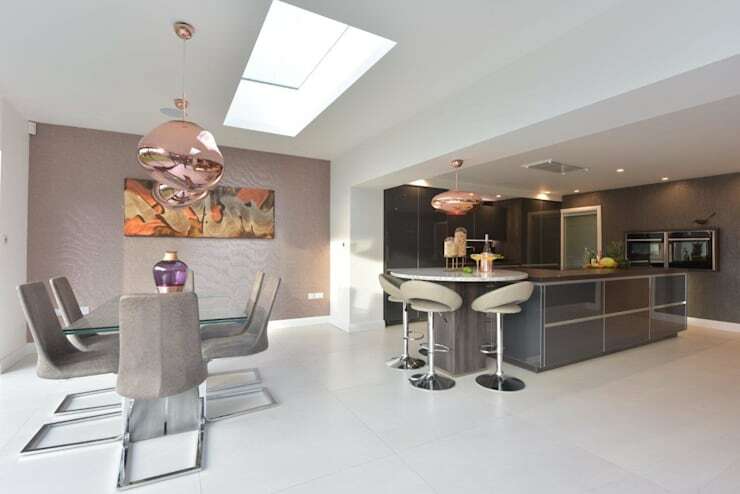 the room has Tom Dixon lighting a L shaped sofa and even a desk area for the children. 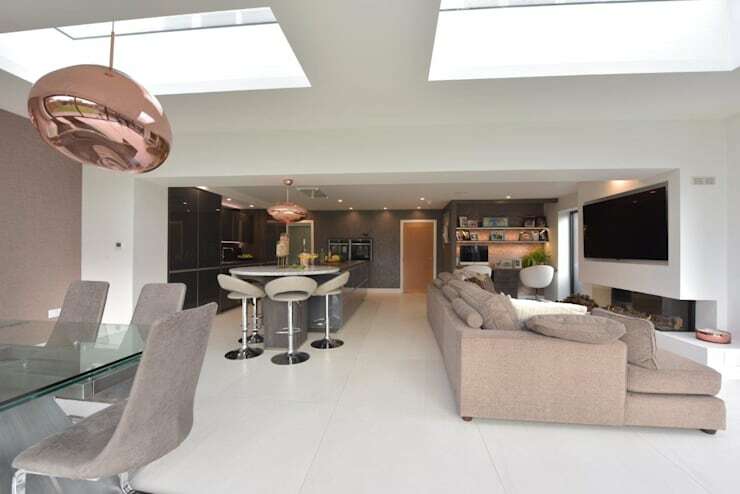 The glass showcases the garden and plenty of fun outdoors space for the children to play. 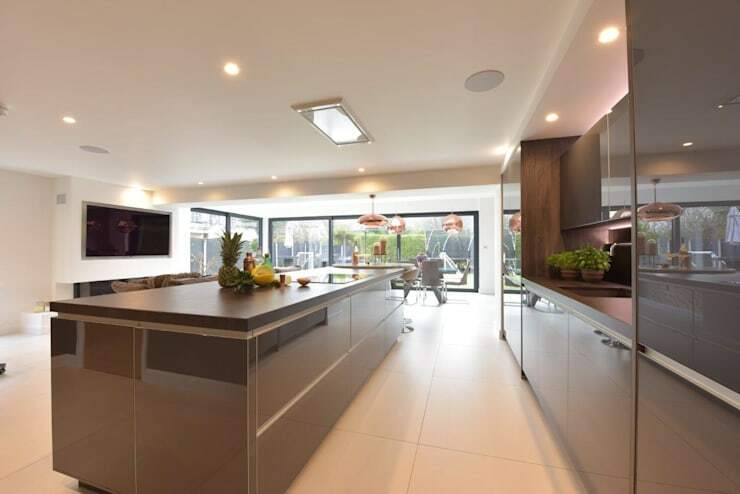 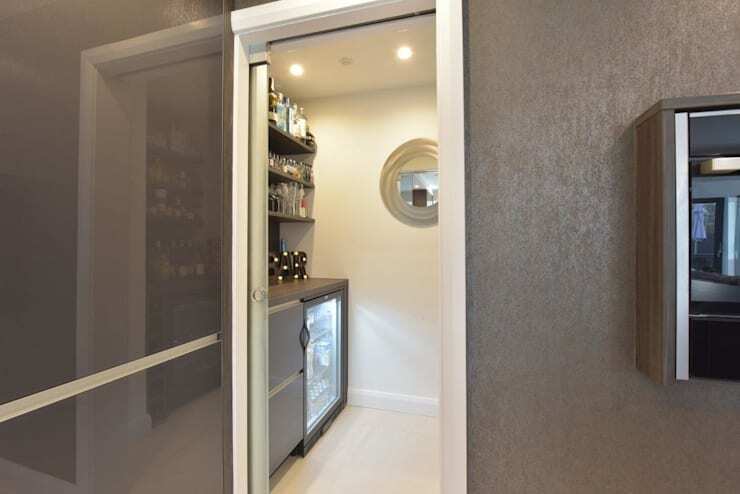 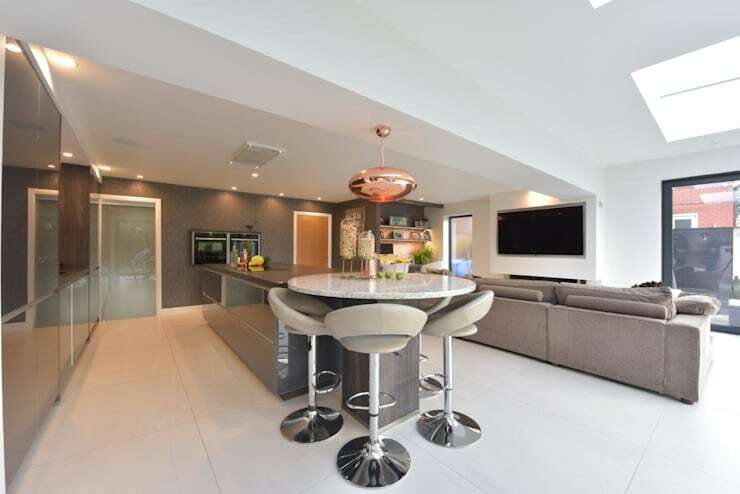 This high end stunning kitchen brings in all the elements to enhance a great family space. 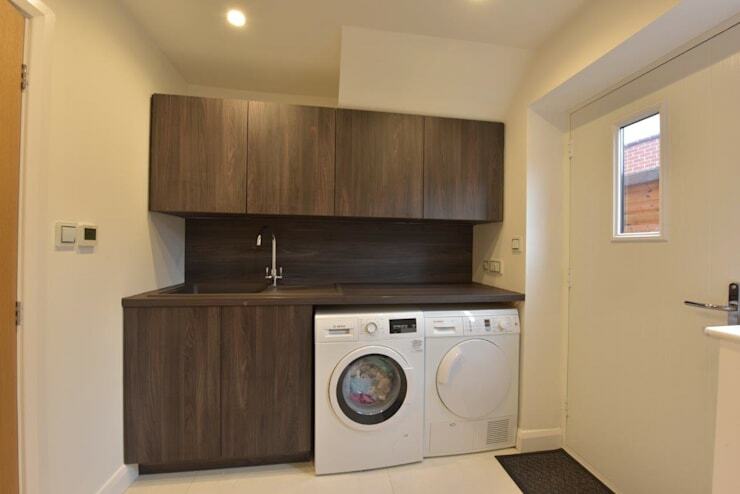 Small utility room for washer dryer and sink, incorporating the staircase ceiling wedge.